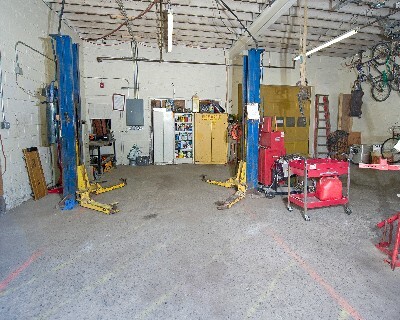 Our Auto Shop is ideal for an indoor space to work on cars, motorcycles, and bicycles. 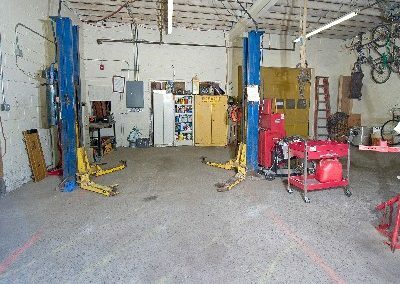 One of our biggest tools is the two post car lift rated for 9000 lbs, which once you get a safety checkout on it will grant you a lot of accessibility to the underbelly of your car. 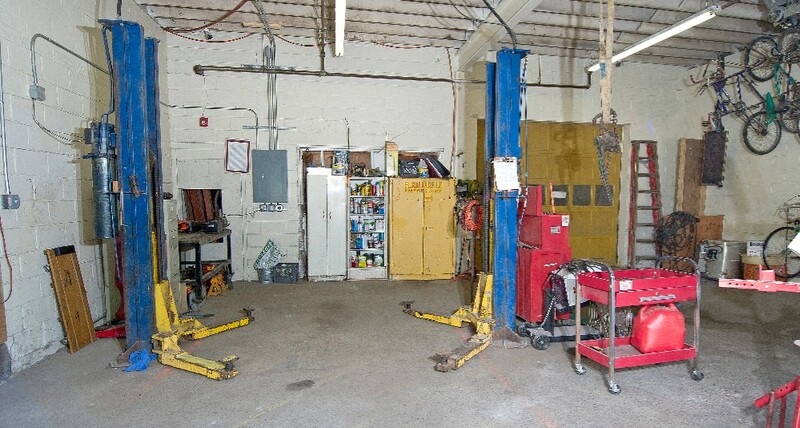 Also outfitted with air tools, wrenches, and most of the things you need when digging into a vehicle. Contact us to find out how to get started using this shop! Part of the Auto Shop is our Bike Shop area, we have a workbench full of tools dedicated to repairing and tuning up bicycles. 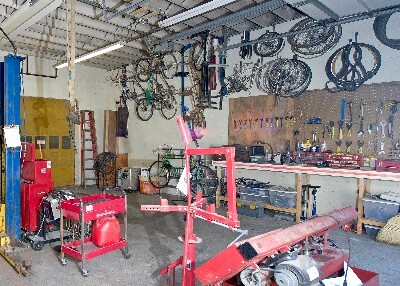 There are plenty of tools and many parts available for repairing and modifying bicycles. 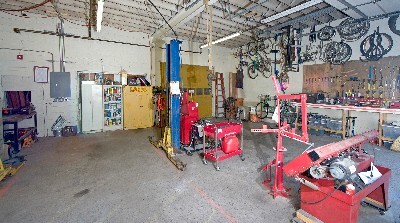 Hanging up on the wall are some of our bicycles available for tinkering and as examples of cool bike projects you can do in the space.